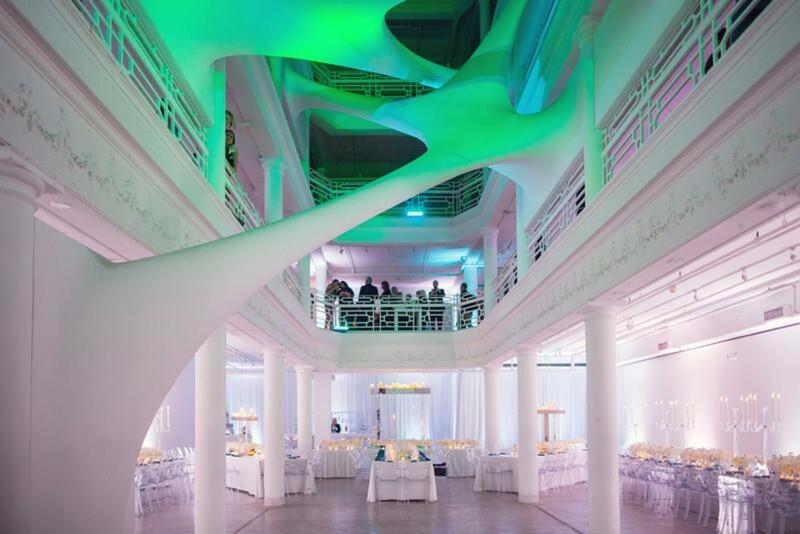 This historic venue is located in the heart of Miami's famed Design District. It was built in 1921 as the furniture showroom space for Moore and Sons. The truly unique building boasts four floors of arcaded spaces totaling more than 20,000 square feet. The soaring central atrium accommodates 4,400 people for receptions and 1,100 for seated events. On permanent display is the site-specific installation "Elastika," created by Iraqi-born London-based architect, Zaha Hadid, and commissioned by owner Craig Robins, president of Dacra. Together they wanted a design that complements and at the same time contradicts the period in which the building was built. This is the company's most well known venue and has been said to be an ideal choice for events.